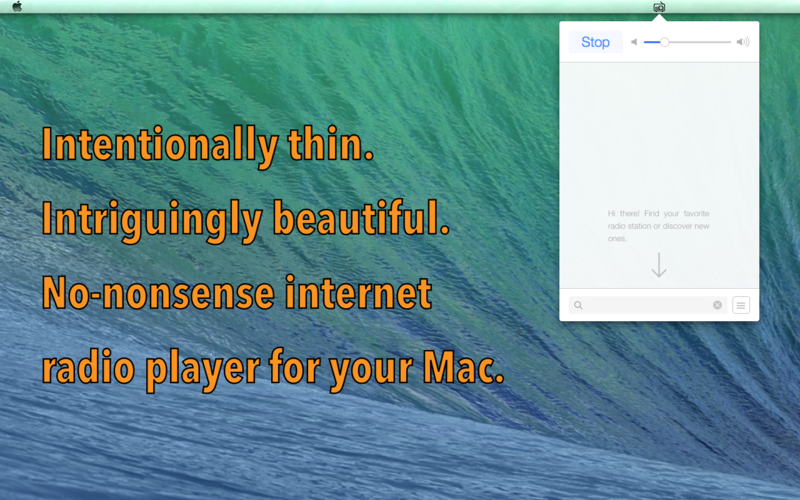 Intentionally thin. Intriguingly beautiful. 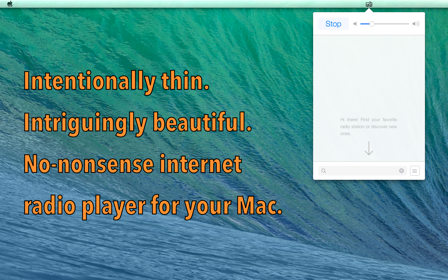 No-nonsense internet radio player for your Mac. 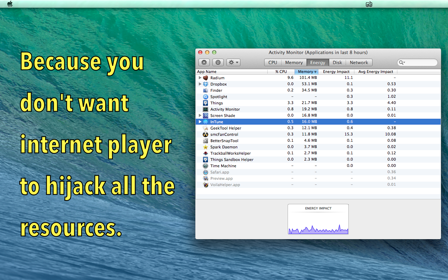 Honestly, we were bit tired of trying to find perfect internet radio player that does not eat up all the system resources. Then we created our own. InTune has extremely low footprint. In average, it requires less than 20MB of memory and less than 1% of CPU. InTune has very low energy impact so your battery can last longer. 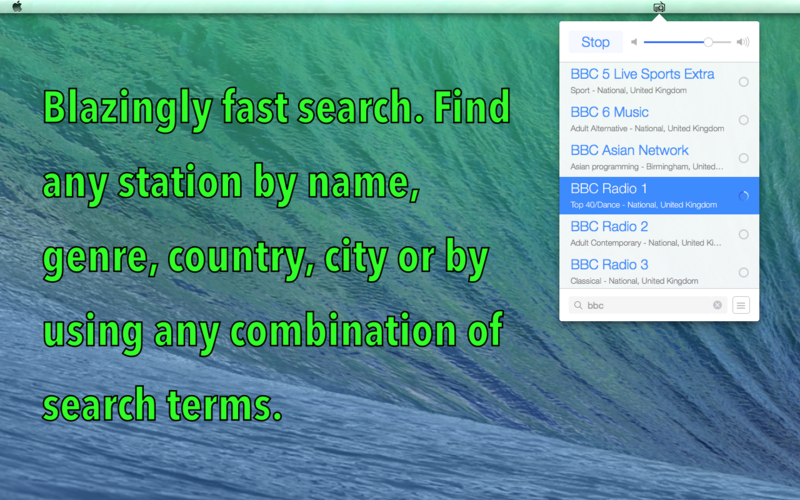 You can discover new radio stations or manually add any stream you like. There are thousands of preset radio stations and we will add more periodically. Subscription services, like DI.FM, SKY.FM or JazzRadio.com are fully supported. If you have 'listen key' ready, InTune will play those stations in highest quality possible. If not, it will gracefully fall back to regular free streams they have. 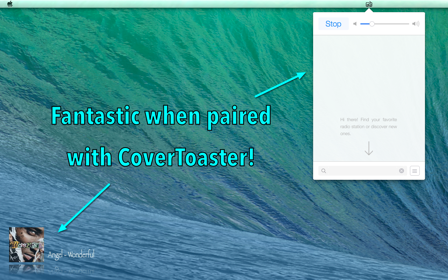 InTune works beautifully with our CoverToaster app. Make sure to check it too! InTune gets better because of your feedback. Please feel free to suggest, report missing or stubborn radio stations and suggest new features. If you are internet streaming radio station fans like us: This is it. The player we all needed. This will create manual entry that plays well. We are of course going to update app soon but this fix allows you to listen to BBC immediately.